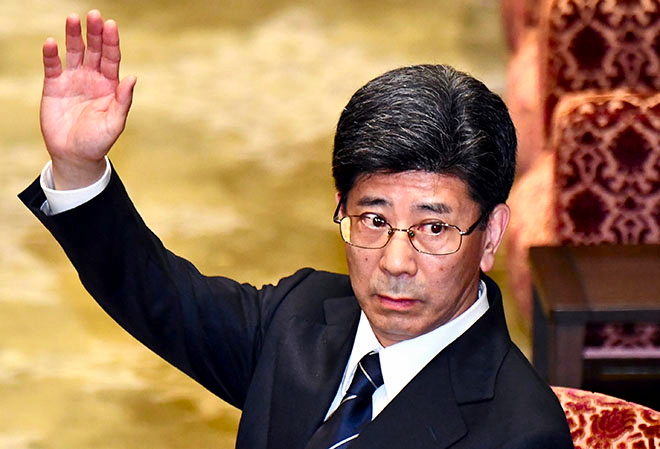 Nobuhisa Sagawa (佐川宣寿) was Director General of Japan's National Tax Agency and accused of corruption, a crony in Prime Minister Abe's ultra-rightist Moritomo scandal. Some see Sagawa here looking childlike & innocent; others see a dangerous viper. I see burikko ぶりっ子, worst sleazy scum of Japan.